“…professional and extremely friendly. Got the part and repaired the problem…” ~ Michael C.
“…very helpful. I will be contacting him in the future…” ~ Al R.
Regardless of how simple or complex your job may be, with Blue Moon Plumbing & Heating, your project will be a success. Our experienced and qualified professionals know how to make every minute count. We work hard to ensure that your project is handled expertly, on time and on budget. Emergency? We’ve got you covered.  Our emergency response team is ready and able to handle any emergency, small or large – 24/7/365. Call 533-BLUE anytime!